This past weekend, we visited the New York State Museum again. While, I’ve written about the museum many times before, this time we were there to see a special presentation: The Capital Region CanStruction. 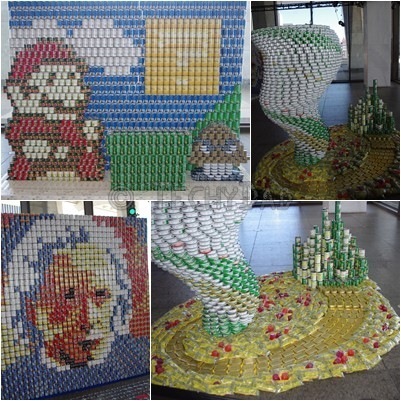 Different teams, using only cans and other food items found in your local supermarket, built various structures. Visitors could vote on their favorites by dropping a canned good into special bins next to each exhibit. 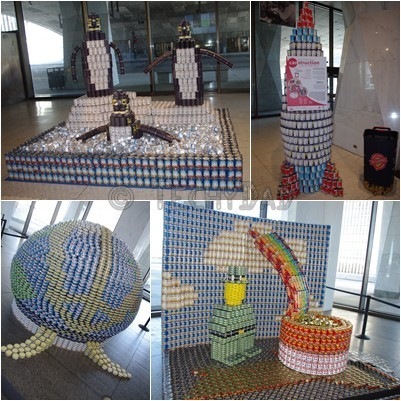 When the CanStruction exhibit ends, all of the "votes" will be tallied and the team with the most will win a prize. Then, the structures will be disassembled and the food items used (plus the donated cans) will be donated to local food pantries. With so many great structures, it was difficult picking our favorites. B chose the The Very Hungry CANerpillar. NHL chose Minion-Mize Hunger. JSL decided upon In Our Dreams (the head whose brain lit up though it didn’t show up in my photos). I decided upon Souper Mario Bros. 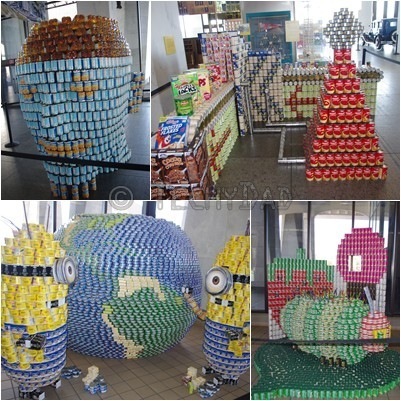 Which is your favorite Canstruction?